Peter S. Carmichael is the Fluhrer Professor of History and the Director of the Civil War Institute at Gettysburg College. After completing his doctorate at Penn State University under Dr. Gary W. Gallagher, Professor Carmichael went on to teach at Western Carolina University, the University of North Carolina at Greensboro, and West Virginia University. He is the author and editor of four books, including The Last Generation: Young Virginians in Peace, War, and Reunion, which was published by the University of North Carolina Press in 2005. He has also published a number of articles for both scholarly and popular journals, and he speaks frequently to general and scholarly audiences. 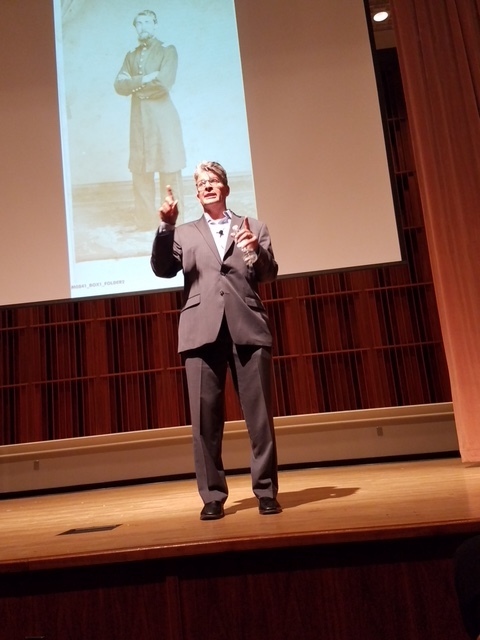 Every June Professor Carmichael directs the Civil War Institute’s summer conference, which draws more than 300 attendees from across the country. More recently Professor Carmichael has appeared on the PBS Robert E. Lee documentary for the American Experience series and on the popular TV show “Who Do You Think You Are.” His lectures have also been covered by PCN and C-Span. His most recent book, The War for the Common Soldier, will be available in November 2018. Pete was born and raised in Indianapolis. As a college student, he worked in the National Park Service at Appomattox Court House, Fredericksburg & Spotsylvania National Military Park, and Richmond National Military Park. His time with the National Park Service inspired him to create Gettysburg College’s Brian Pohanka Internship Program, which places more than twenty-five Gettysburg College students at National Park sites every summer as seasonal historians. Pete enjoys watching Indiana sports, particularly the Pacers, Colts, and Hoosiers, and traveling to France. He lives in Gettysburg with his wife and twin daughters. Now that his book is finished, Pete is looking forward to visiting Quito, Ecuador, and exploring his father’s homeland.